With its brand-new design, the 2017 Sportage looks distinctive from any angle. It’s got a bold new grille, an athletic stance and luxurious attention to detail. If you’re looking for a stylish companion for all of your urban adventures, this is it. 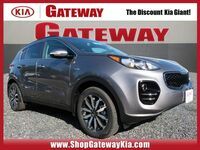 Inside the Sportage, comfort and control are the priorities. New soft-touch materials are incorporated everywhere. Switches and screens are all oriented toward the driver to make you feel like the center of the universe. 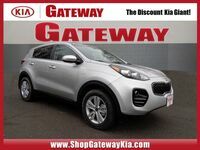 The Sportage’s standard 2.4-liter 4-cylinder engine makes 181 hp and 175 lb.-ft. of torque. Eagle-eyed readers will notice that those figures are each 1 less than last year’s model. That’s because the engine has been optimized for improved fuel economy. It now achieves 23 mpg city, 30 mpg highway, for a combined average of 26 (versus the 2016 model’s 21 mpg city, 28 mpg highway and 24 mpg average). 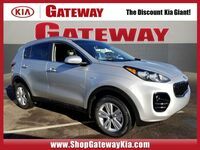 The Sportage has been completely redesigned for 2017 to stand out more than ever among the compact crossover crowd. It’s built for urban adventures and designed to make an unconventional statement along the way. With its imposing new appearance, the Sportage doesn’t just look bigger than before; it is bigger. There’s more head room, more shoulder room, more hip room and more leg room. And there’s more cargo space whether the seats are up or folded down. The 5-inch touchscreen controls CD, MP3 and satellite radio as well as providing a rear camera display. It also has Bluetooth and USB to connect your smartphone. Driver assistance technology is available to add confidence on the road. By stretching out the Sportage’s compact dimensions just an inch or two, the engineers were able to create much more space inside. With the rear seat upright, driver and passengers now have expanded head-, shoulder- hip- and leg-room. When the rear seat is folded down, cargo space is improved by 6 cubic feet over last year’s model. There are also smart storage compartments under the floor. Not only can you connect your smartphone and other devices via Bluetooth and USB, but there are also a range of smart driver assistance features working behind the scenes. 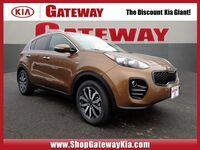 The Sportage is available with autonomous emergency braking, lane departure warning, blind spot detection, lane change assist, rear cross traffic alert, high-beam assist, front and rear parking assist, and more. With front crash prevention, it earned a Top Safety Pick+, the highest rating from the Insurance Institute for Highway Safety. 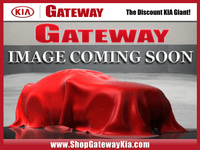 With dozens of new Sportage models available now, we hope to see ya at Gateway Kia!